Illinois’s wildlife has always played an important role in the history of human beings inhabiting the state. Native Americans depended on birds, mammals, and fish for sustenance and the state’s first Europeans came in search of Beaver and buckskins. Although the state’s wildlife is still an important resource for human consumption, wildlife is also increasingly important in today’s culture for its intrinsic, aesthetic value. For many Illinoisans, the age-old traditions of hunting and fishing have been replaced by a desire to simply observe wildlife and experience nature. But most Illinoisans are largely unaware of the diversity of species inhabiting their state. This volume is intended to provide an introduction to the state’s fishes, amphibians, reptiles, birds, and mammals. In The Illinois Wildlife Encyclopedia, nationally known naturalist Scott Shupe has collected information on all the wildlife that reside in the Prairie State. 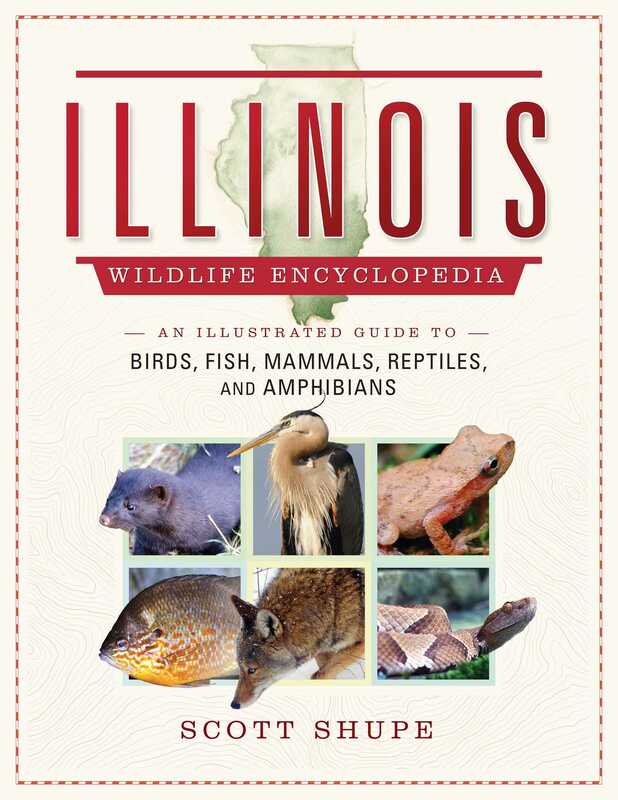 The fourth volume in a series of state wildlife encyclopedias, this book will be a handy, usable, layman’s guide to Illinois’ wildlife. Whether you’re a lover of the outdoors, photography, or are looking to learn more about your state, this comprehensive guide will teach you about the wonderful wildlife that covers the water, earth, and skies of Illinois.